Many say it all started with a mouse! And, that may be true! But, for me, it all started with a man! A very imaginative, creative, and caring man. His name was WALT! Walt Disney to be specific! Walt grew up in very meager conditions! His family struggled to make ends meet and moved several times to follow the jobs that paid the bills. At age 16, Walt became an ambulance driver during World War I. He was always drawing and doodling to help pass the time. 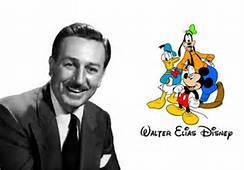 After a couple of failures, he was finally created Mickey Mouse and thus the birth of Walt Disney Productions. That is a very brief history of Walt Disney, and I suggest everyone find a book to read to find out more about who this man was and what made him tick. I share this because I believe it is important to remember that without Walt Disney there would be NO Disneyland, NO Walt Disney World, NO Walt Disney Movies, and a host of other parks and productions. How did this all come to be? Simple! The most important thing in Walt’s life was family! His wife and his daughters were very important to him and he always spent time with them, no matter what pressing issues may lie before him. One day, Walt was watching his daughters playing on a carousel and he thought to himself, “there must be a way for families to enjoy being together in one place”. And, a few years later, Disneyland was born! But, Walt’s vision was much bigger than the area around Anaheim at the time. So, he went hunting for some new ground to build upon. Enough to hold all of the dreams and creations that could be conceived by Disney Imagineers. And, now we who are in love with Walt Disney World get to benefit from his foresight! Sure, there were struggles getting it done! But, in the end, it came into being and has become the top vacation destination in the world. I find it to be refreshing as I approach the Walt Disney World Resort, that the archways still bear his name, and I hope they continue to do so for the rest of time. And, it’s not done, yet! So, next time you visit Walt Disney World, take a moment to remember a man named Walt. Walter Elias Disney!